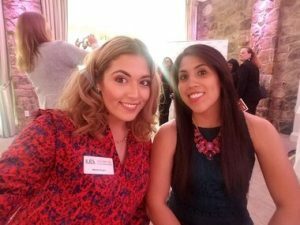 Marika Dugan and Diane Pineda were proud to attend The Leading Women Entrepreneurs’ “Making it to the Top” event at Fiddlers Elbow Country Club for the second year in a row. The room was filled with successful business women who were all gathered together to recognize and showcase their excellence, service, and leadership. Twenty-five honorees were celebrated in each of three categories: Entrepreneurs, intrapreneurs, and brand builders. The panel discussion touched upon superior promotional strategies by the Global Marketing Leader of Facebook, Tawana Murphy Burnett, the foundation and importance of a corporate mission by VP of CareOne, Lizzy Straus, and the motivation behind greater professional tactics of brand building by the VP of Telebrands International, Poonam Khubani. The keynote speakers were enlightening and the event itself was empowering. Congratulations to all the strong-minded women supporting and encouraging each other to achieve greatness.